Melba Moore is a Soul Legend. Tony Award Winner and 4 time Grammy nominee. In the beginning, Melba’s Stepfather pianist, (Clement Moorman) introduced her to several agents which eventually landed her a role in the cult classic musical Hair. Melba went on to land the lead role in Purlie. Ms Moore also appeared alongside the iconic Eartha Kitt in the musical Timbuktu and landed the lead role of Fantine, in the acclaimed musical Les Miserables. Although Ms. Moore enjoyed working on Broadway, she didn’t want to forget about her first love…music. Deciding to focus more on her recording career, she made her recording debut on Mercury Records with “I Got Love”, followed by “Look What You’re Doing To The Man”. She was nominated for a Grammy Award for ‘Best New Artist.’ Numerous Grammy nominations, recordings, and television shows, including her own variety show entitled The Melba Moore-Clifton Davis Show, followed. Melba scored a string of Billboard Charted hits with songs like “This Is It” and “You Stepped Into My Life”. Ms Moore continued to enjoy great success musically with such chart topping songs as “Love’s Comin’ At Ya,” “Keepin’ My Lover Satisfied,” “Living For Your Love,” “Read My Lips,” which she received a Grammy nomination for ‘ Best Female Rock Vocal’. 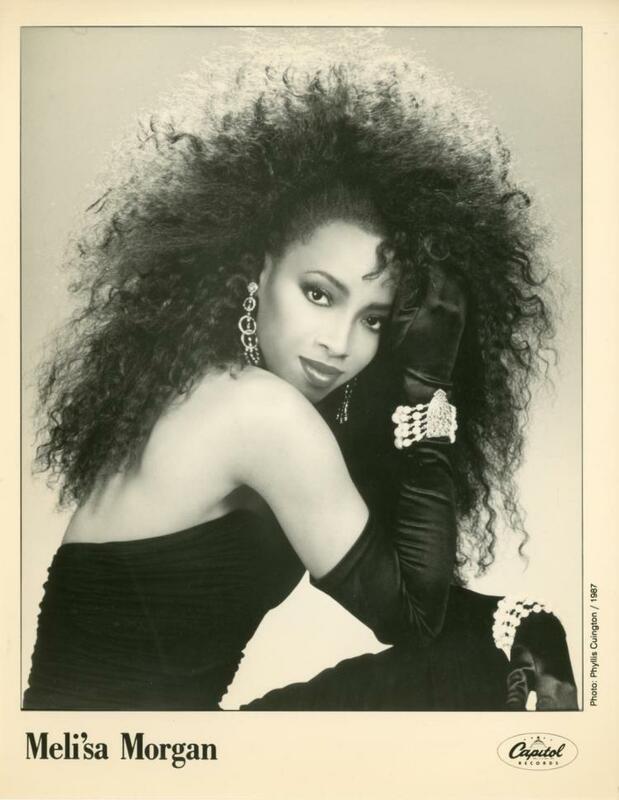 She had two Billboard #1 hit singles for “Falling” and “A Little Bit More,” a duet with Freddie Jackson. Ms. Moore later released “Soul Exposed” which featured a stellar version of “Lift Every Voice and Sing”. It featured such artists as Freddie Jackson, Stevie Wonder, Aretha Franklin, Dionne Warwick, Jeffrey Osborne, Lou Gossett Jr., Bobby Brown, Anita Baker, and Stephanie Mills. More recently, Ms. Moore starred with Beyonce and Cuba Gooding Jr. in the motion picture “The Fighting Temptations”. Presently, she is working on an autobiography with professor and former New York Times writer Mel Watkins detailing her achievements over the span of her career. Melba Moore returns to the UK by popular demand to perform hits from the past present and future and with a very special guest in the shape of Meli’sa Morgan also announced. After high school Morgan toured with bands, sang in clubs and attended Julliard’s prestigious School of Music, studying music theory and chord structure. Next came backup singing and touring with major artists, including Chaka Khan, now one of her dearest friends, and still, informs Meli’sa, “one of my idols.” The Khan connection introduced her to Lesette Wilson, then Chaka’s musical director. “Lesette was inspirational for me during my first and second albums with Capitol Records,” praised Morgan, who has reigned as one of Capital’s premiere stars during her tenure at the label. “Not only did Lesette and I become close friends,” adds Meli’sa, “together we wrote and produced “Fool’s Paradise”, “Do You Still Love Me?”, “Good Love” and many other songs.